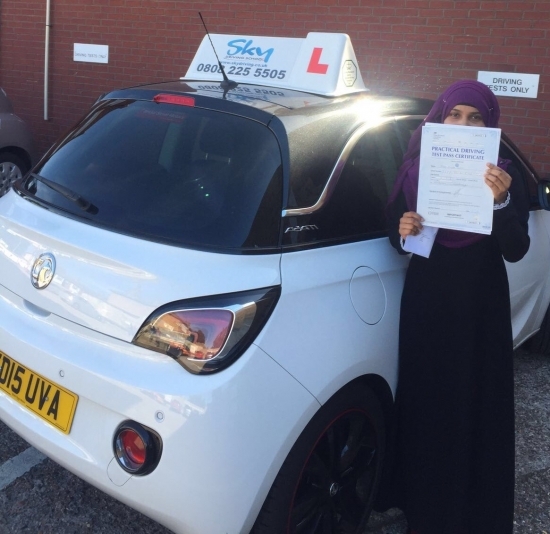 Thank you so much sister Shabnam, for being a great inspirational instructor and teaching me how to drive safely. You are the only person who was able to calm my nerves down. You helped me achieve my goal and gain confidence when driving. I will definitely recommend you to my friends and family. Take care and have a nice day.